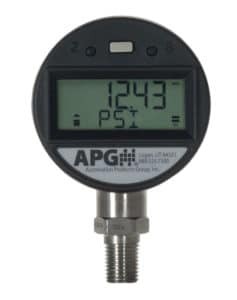 The PG5 is a digital pressure gauge for indoor use that features a large, full 5-digit display with 0.4 inch characters. It has an available range from vacuum up to 10,000 psi. Tare, peak hold, and max/min functions are standard and it offers a ±0.25% accuracy of full scale. The series PG2 IP65 Digital Pressure Gauge measures gas and liquid pressure with high accuracy at an affordable price. 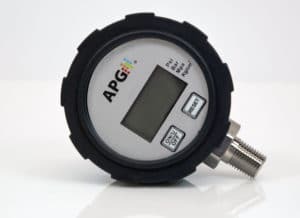 As our basic digital pressure gauge, the PG2 has a weatherproof case, 304L stainless steel wetted material that is compatible with many liquids and gases, and comes with easy to use features and a large 5-digit display . With a large, 5-digit display, 0.68 in. 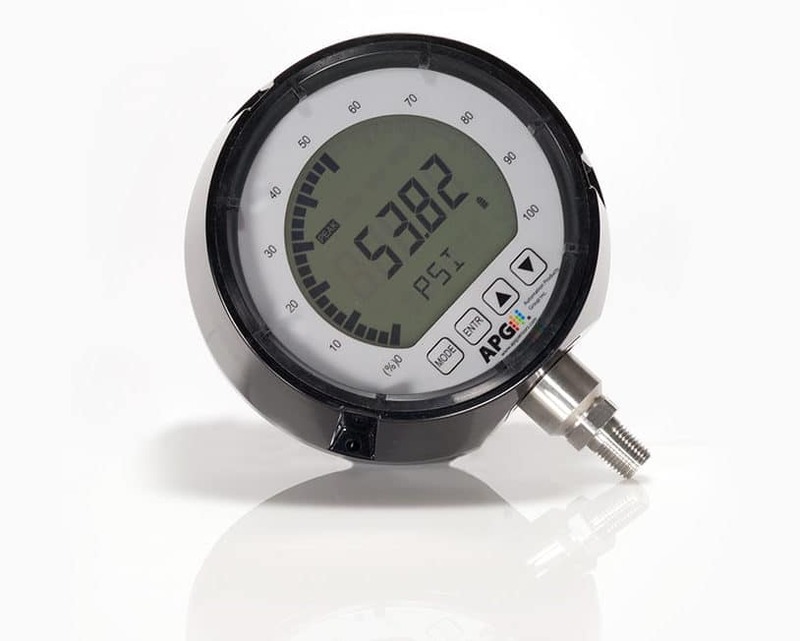 characters and a 270° radial bar graph, the series PG10 IP65 pressure gauge gives you true at-a-glance readability. It has an available range from vacuum up to 10,000 psi. Tare, peak hold, min/max and data logging functions are standard and it offers ±0.25% accuracy of full scale. 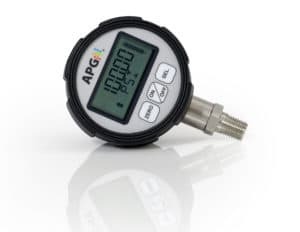 The PG10 IP65 also has the longest battery life of all other digital pressure gauges. The series PG7 IP67 digital pressure gauge is a robust digital gauge specifically designed from harsh environments. Tare, peak hold, min/max and data logging functions are standard and it offers ±0.25% accuracy of full scale. It is built for either indoor or outdoor use and features an IP67 rating and long battery life.